Qualitative research encompasses a growing set of methods that eschew strictly empirical, quantitative data in favor of information gathered through ethnography, in-depth interviewing, focus groups, and visual research. While it is an important tool in the arsenal of the researcher, there is often a large gap between the theory behind qualitative research and the actual practice of its methods. 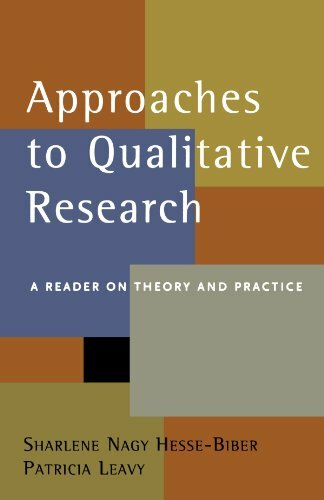 Approaches to Qualitative Research couples theoretical articles with practical research examples to help students develop a holistic understanding of the process of qualitative research. Covering a wide range of traditional and emergent research methods, as well as techniques of analysis and writing, the book clearly explains the critical link between theory and method through carefully selected articles and in-depth introductory essays. The essays illustrate key concepts that are crucial to the understanding of qualitative methods, connecting theoretical discussions with "how-to" examples of the research process. Selected for their accessibility, the articles not only reveal the basics of qualitative research but also touch on some current practices including Internet research, computer-driven data analysis, and using still and moving data. Approaches to Qualitative Research is an exemplary text for undergraduate and graduate courses on research methods and qualitative research methods. It is also an ideal companion volume to Sharlene Nagy Hesse-Biber and Michelle Yaiser's Feminist Perspectives on Social Research (OUP, 2004).